After showcasing Iron Man's resident comic artist Adi Granov, here are the other concept arts done by none other than Phil Saunders a Concept Designer known for his works in Jarhead, Zathura, Torque and Superman Returns. Unlike Granov's work, Phil's designs focused on more technical aspects of the movie including the design of Tony Stark's house. To view the artworks go here. 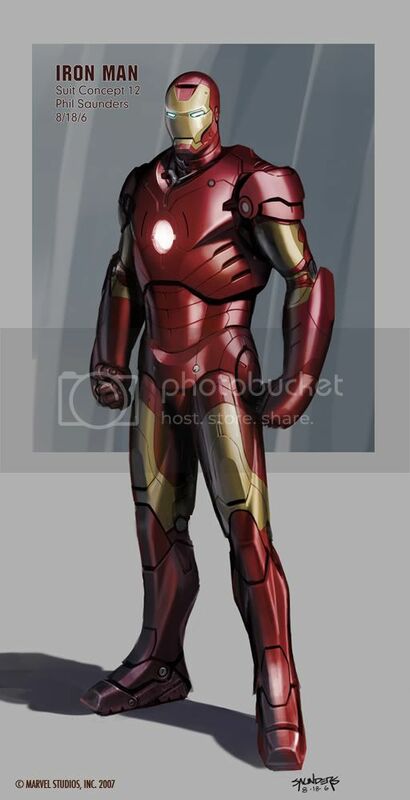 kahit saang angle, astig talaga tignan si iron man. i just wonder if incredible could catch up with the success of this movie.